Draftfcb clients in the spotlight in the survey include Coca-Cola, Koo, Old Mutual, Wimpy, Engen, Eskom and Toyota. Coca-Cola was acclaimed as Overall Favourite Brand, a position Koo has held for two years. It also walked away with two additional Grand Prix wins as the brand that has done the most to uplift the community, and the brand that does the most to look after South Africa’s environment and natural resources. The Grand Prix for the most desired company to work for went to Eskom. Given these achievements, Draftfcb placed second in the Robyn Putter Top Brands Agency of the Year Award, which recognises the contributions of the creative agencies behind the brands. In the 2012 survey, Draftfcb won the award and is looking forward to repeating that performance in 2014. Celebrating the agency’s achievement, Draftfcb Johannesburg Managing Partner, Heidi Nelson, said it was a result of a professional and committed client-agency relationship supported by critical strategic insights and creative advertising that touched the hearts and minds of ordinary South Africans. 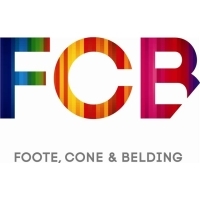 “Draftfcb enjoys long-term partnerships with clients. For example, we celebrate 53 years with Toyota, 37 years with Tiger Brands and 40 years with Adcock Ingram this year. “Draftfcb Cape Town has also successfully cemented new client relationships and generated new standing for brands such as Engen, which has taken top spot in the petrol station category for three years in a row now – 2013, 2012 and 2011. “These clients and their brands, as well as many of our other clients, are leaders in their sectors, but many did not hold that position before they partnered with us. “By developing advertising that resonates with the market, we’ve helped build their brands and their businesses. It’s an impressive achievement, and one we’re particularly proud of,” Nelson said.